You can also enjoy the community areas around Aspenwood, including a private beach. The Aspenwood townhomes feature modern comforts on the shore of Lake Superior. Come on in and enjoy your North Shore vacation at Aspenwood 6542. The granite counter tops, full sized appliances, and great Lake Superior views make this kitchen the perfect place to prepare your meals. The dining table seats four with additional seating at the kitchen counter. The views of Lake Superior from your private balcony are amazing. In the lower level you will find the family room- a great place to hang out and watch TV or play a game. The couch pulls out for an additional sleeping area. The views are great from the lower level walk-out. The tri-level home provides a lot of space along with some privacy for larger groups. The bedroom, located on the upper floor, has a queen bed and amazing Lake Superior views. The large bedroom windows bring in a lot of natural light. You can lie in bed and watch the sun rise over Lake Superior. These are the incredible views of Lake Superior you will enjoy from your bedroom window. The futon at the top of the stairs on the upper floor provides yet another sleeping area. The upper level bathroom has a deep soaker jetted tub- great for relaxing after a long day of exploring the North Shore. The main level half bath. The lower level bathroom features a walk-in shower. Enjoy 600 feet of Lake Superior cobblestone shoreline. Take a stroll down the shoreline or enjoy a campfire on the beach. All Aspenwood units share this beach area, but it`s usually pretty peaceful and serene. Come down early in the morning and enjoy a beautiful sunrise over Lake Superior. Aspenwood Townhomes Map- Unit 6542. If you need additional space other units may be available. Aspenwood 6542 is a one-bedroom townhome located in what many consider the best location in all of Minnesota. 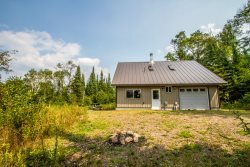 Nestled near the shores of the enchanting Lake Superior, this three-level home features 2.5 bathrooms and is ideal for a young family or small group looking to embrace everything the North Shore has to offer. The master bedroom is situated perfectly on the top floor with stunning views of Lake Superior and a cozy bed. The main bathroom is also located on the top floor and includes a jetted tub for relaxing after a day on the slopes or hiking the many nearby trails. An upper level loft area includes a futon that can be utilized as a sleeping area for supplemental guests. The lower level family room includes a gas fireplace, flat screen TV and a sofa that converts into a bed. A fully-stocked kitchen is ideal for making a delicious meal during the winter months, or use the outdoor gas grill to prepare fresh caught lake trout. Speaking of fish, the property is located within minutes of many extraordinary fishing holes where trout, walleye, northern pike and smallmouth bass can all be found. Also close by are some of the state’s most incredible trails for cross country skiing and hiking. And don’t forget Lutsen Mountains, the iconic downhill skiing venue, is just up the road. In addition, there are many great dining options in the nearby towns of Lutsen and Tofte, with Grand Marais just a touch further on the scenic and legendary Highway 61. There aren’t too many properties in Minnesota that fit the description of “this property is perfect for everyone.” Aspenwood 6542, however, is the very definition of that description. If you need more space, check out all of our Aspenwood Townhome options. We have one, two, three and four-bedroom options available. Rent multiple units for larger parties such as family reunions or getting together with a group of friends! Super easy transaction through Airbnb. Good communication with all the information we needed. We enjoyed our stay here. The home is very clean and feels almost new. Convenient location for hiking and exploring the North Shore. Our family thoroughly enjoyed the amenities, from being right on the water to having our own spaces inside the cabin for privacy. Beautiful location! Quick, easy and convenient registration. The house was warm and welcoming. We had a great view of the cloud waves in the early mornings. Overall, great place to stay. Very close to everything, Lutsen where we Skied and to Blue Fin Bay for dinner. Aspenwood (6542) is a great place to stay while vacationing on the North Shore. The layout is great for two couples since each couple can have their own space separated by the middle floor with great views of the lake. Beautiful hardwood floors and nice furniture, big outdoor grill, and amenities including fast WiFi speeds. All in all we had a wonderful time and would visit again for sure. The townhouse was very clean, very nice view of the lake, 5 minutes to Lutsen for skiing. Cascade staff was very helpful answering question. Very easy online rental and check-in instructions. Would certainly stay at this unit next year. The condo was great. The beds were comfortable, everything was clean, and there were adequate supplies such as soap and toilet paper. Gorgeous view! Watched the sunrise over Superior. Immaculate home, views from every window, beautiful kitchen, clean and nice. Jacuzzi bath, good water pressure, laundry. A pullout couch, futon and bedroom. I saw a grill outside that looked nice to use. Great location, right by a great bike trail, easy to find, beautiful, wonderful maintenance and amenities. Nice people on staff as well. I've recommended this company to others, and will continue to do so.